Ohio law regarding the execution of mortgages can be quite strict and the failure of lenders to follow it can have significant consequences, including the lender's loss of its position as a secured creditor in a debtor's bankruptcy. 4. the official shall subscribe his name to the certificate of acknowledgement. If a mortgage was defectively executed, it was not entitled to be recorded, and even if it was recorded, it must be treated as though it had not been recorded. An unrecorded mortgage does not provide constructive notice of the mortgage to a bona fide purchaser, and therefore such bona fide purchaser takes priority over the mortgage. In bankruptcy, a trustee has the rights of a bona fide purchaser regardless of his actual notice of a mortgage. Challenges on this issue typically attack the acknowledgement. 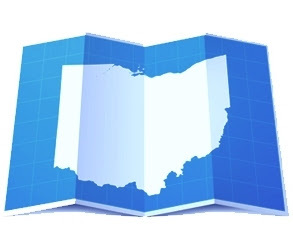 Under Ohio Revised Code section 147.541, a certificate of acknowledgement will be recognized if it contains the words "acknowledged before me" or their substantial equivalent. The term "acknowledged before me" means that person doing the acknowledging appeared before the person taking the acknowledgment (i.e., the notary), acknowledging that he/she executed the instrument for the purposes stated in the acknowledgment. Ohio courts in the past have upheld acknowledgments that they found were in "substantial compliance" with ORC 5301.01, and bankruptcy courts have recognized Ohio's "substantial compliance" doctrine. To determine whether a or not a mortgage execution substantially complies with ORC 5301.01, a reviewing court will typically consider "the nature of the error and the balance of the document to determine whether or not the 'instrument supplies within it self the means of making the correction'" (Menninger v. First Franklin Financial Corp. (In re Fryman), 314 B.R. 137 (Bankr. S. D. Ohio 2004)--quoting Dodd v. Bartholomew, 44 Ohio St. 171 1886)). The end result? A debtor can validly own of the property, sign the mortgage, initial every page including the acknowledgement page, and the mortgage can be recorded and the bankruptcy trustee can have actual knowledge of all of the above, and still the mortgage will be set aside if the mortgage is not properly executed under Ohio law. While courts have acknowledged the counterintuitiveness and even injustice of some of these decisions, it is not their job to cure the lenders' documentation issues and they will not. Lender's need to beware and take sufficient care in documenting their loans or risk suffering grave consequences; and if you are counsel for the borrower being asked to provide a legal opinion on a mortgage loan, take care when reviewing the mortgage execution and acknowledgement.